Moisture Gel helps keep skin from feeling dry. When roughness and dryness are not relieved by your regular method for caring for your skin, try Moisture Gel. It lightly moistens and gently protects your skin from dryness and other effects of the outside world, and it won’t counteract the moisturizing effects of other lotions you’re using. Moisture Gel helps keep skin from feeling dry. When roughness and dryness are not relieved by your regular method for caring for your skin, try Moisture Gel. It lightly moistens and gently protects your skin from dryness and other effects of the outside world, and it won’t counteract the moisturizing effects of other lotions you’re using. Moisture Gel is a moisturizing gel that protects your skin from the effects of the outside world. The gel lightly moisturizes while working as a protective base for the skin’s surface. Protects against rough skin caused by dryness. 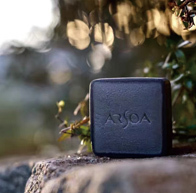 ARSOA water, vegetable squalane (the emollient), and moisturizing ingredients all work together in Moisture Gel. A cross-linked silicone gel helps retain moisture in abundance. The gel is smooth and light, and it gently covers your skin. The compact tube is convenient to carry. You can use it multiple times in the same day. Adjust the amount used in accordance with the condition of your skin. It can effectively be used in spot care for places where dryness is a particular concern. You can also use it on your hands or heels, which tend to become dry. When dryness is a concern, use it multiple times a day. When you use it after Saussurea Essence, your skin will feel even more moisturized.